Now-a-days due to different types of changes in both external environment and internal body structure every human is surrounded by many diseases irrespective of age, gender, country etc. in which kidneys are the most common affected disease all over world and there are many signs your kidneys are not working properly in which few are listed below. Kidneys are the main part of the body that filters blood, purifies and removes different wastes, toxins and other harmful components of the body and releases out. Two kidneys in the body are in the size of the fist. Every day kidney purifies 120-150 quarts of blood. Kidney also regulates potassium, pH, and salt levels in the body. The kidney plays important role in healthy functioning of the body system. Kidneys have the ability to filter waste products and other impurities from the blood. 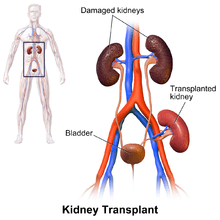 Kidneys will purify blood and send to other body parts. All the impurities and wastes filtered by the kidneys are sent to the bladder and excreted using urinary. The kidney plays crucial role in the control of red blood cells. Kidney produces enough hormones to handle blood pressure. There are different types of kidney diseases which are caused due to different body system problems. Below are the types and kidney diseases and their signs your kidneys are not working properly. Kidney stones: These are caused when the minerals and other substances in the blood form into the solid stone-like structure. Chronic Kidney Disease: This is a long term condition and causes due to high blood pressure. Glomerulonephritis: These can cause due to infection, drugs, and abnormalities. It is the inflammation of the glomeruli which are blood filter present in the body. Polycystic Kidney Disease: It is a genetic disorder and form fluid like structure in the kidney which leads to kidney failure. Urinary Tract Infections (UTI): These infections are caused due to bacterial infections in any part of the urinary system. Most common infections are bladder, urethra. Kidney diseases are seen majorly in adults and older age people. There are various causes for kidney damage. Here, in this article we are discussing the top 10 signs your kidneys are not working properly. Here are the few list of risk factors generally leads to kidney diseases. Swollen: Kidneys stop removing extra fluid from the body when they stop working properly. This will lead to swell in feet, ankles, face, hands and other body parts. Sleeping Problems: Kidneys stop filtering properly ones it is affected. This will make toxins to stay in the blood and doesn't leave through urine. This will lead to sleeping disorders and increases sleeping problems. Skin Infections: Skin diseases like itching, skin allergy, skin dries and other skin problems are the main symptoms of kidney diseases as they cause due to the toxic, uric acid and other waste components released into the blood because of kidney functionality damage. Metallic taste: When kidneys don't remove toxins and other waste acids from the body, they cause metallic taste in the mouth and also increases bad breath which leads to different internal body diseases along with kidney disease. Urinal Changes: Kidneys mainly functions to purify blood and other acidic minerals from the body and excretes it through urine. Initially the kidney disease signs are seen in urinal changes such as blood in urine, urine appears foamy or with bubbles, urination is more often. Vomiting: When the toxins and other wastes are present in the system a person feels nausea and wants to vomit. A continuous vomiting and nausea can be observed. Tiredness throughout the day: Disease in kidney functioning will affect the internal system which leads increase in tiredness, decreases concentration, very less energy and cannot be active for a while also. Anemia: Red blood cells production in the body system changes due to the kidney filtering problems. The decrease in the red blood cells can be seen rapidly ones the kidney function damages and this will lead to Anemia. Eye Puffiness: Kidney filters damage will remove proteins from the body and the decrease in proteins will increase persistence puffiness around the eyes all the time. Kidney diseases can be diagnosed and here are the few types of diagnosis. Many doctors prefer these diagnosis test types after identifying the disease type. To avoid these signs your kidneys are not working properly every individual and disease affected person should take care of their health and do regular exercise and handle their health with most care. A good healthy food diet, yoga exercise and other healthy habits should be opted. It is totally in our hands to handle and take care of our health to lead a healthier life. There are many signs your kidneys are not working properly on which one should concentrate and try to prevent themselves from those situations and should workout accordingly depending upon the disease and symptoms. Be Healthier! Stay Happier! Work Harder!